Junior Landcare is about encouraging young people to play an active role in ensuring the safe future of their environment. 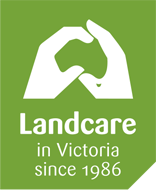 Launched in May 1988, Junior Landcare recognises that the contribution of young people is vital if the land they are to inherit is to be in the best possible condition. Junior Landcare also encourages young people to develop a sense of responsibility to the land and other natural resources. Landcare activities can be successfully integrated into a range of topics within the school curriculum or be part of scout or similar youth group activities. Landcare programs organised by schools and youth groups provide a great framework for learning in outdoor ‘living classrooms’. Junior Landcare enables kids of all ages to become involved with their local landcare group and work on a range of environmental projects.